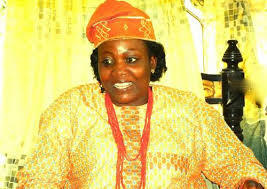 The Regent of Akungba Akoko in Akoko South West Local Government Area of Ondo State, Princess Oluwatoyin Omosowon, was on Tuesday evening kidnapped with three other people by unknown gunmen. The regent was said to have been kidnapped with other occupants of her vehicle around Ose/Oba Akoko while traveling from Akungba to Akure to honour an invitation from the Vice Chancellor of the Adekunle Ajasin University to attend the inaugural lecture of the Federal University of Technology, Akure. According to a source, Omosowon, who is the third regent since the death of the traditional ruler of Akungba, was forced out of her car by the gunmen and was ordered to enter into another vehicle. They shot into the air to scare away travellers on the road. Confirming the development, the former President of Akungba Akoko Development Union, Chief Dele Olowogoroye, explained that the kidnappers trailed the regent to the area before she was abducted. Olowogoroye said "the regent was kidnapped on her way to FUTA in Akure, where she was invited to attend the inaugural lecture of the university. We learnt the gunmen, who were in mask, ordered her to enter into a waiting vehicle and shot into the air to scare away travellers on the road. The kidnap was well planned," he said. The abduction of the regent caused confusion in the town as youths from the town barricaded all the roads leading to the town. All markets and shops in the town were closed while students of the Adekunle Ajasin University were seen leaving the school campus. The State Police Commissioner, Isaac Eke, who also confirmed the development, said that two of the kidnapped persons had regained their freedom, adding that his men had been deployed search for the regent and the other victim.